First Lady Michelle Obama and First Lady Laura Bush on stage during Investing in Our Future at the U.S.-Africa Leaders Summit, August 6, 2014. Photo by Paul Morse. Research shows that the inclusion of women in every aspect of society is critical to the success and progress of countries. And, on Wednesday, First Lady Michelle Obama and First Lady Laura Bush once again shared a stage to discuss the important role a first lady plays in championing issues that have the power to transform the lives of women and children. As part of the U.S.-Africa Leaders Summit, Mrs. Bush and Mrs. Obama joined forces to convene nearly 30 African first ladies and leaders of corporations, non-profits and foundations at the "Investing in Our Future" forum. The gathering spotlighted the most pressing problems that face women and children and promoted solutions and partnerships to address these issues. The day-long forum, co-hosted by the George W. Bush Institute, the Office of the First Lady and the U.S. Department of State, builds on the success of the Bush Institute's African First Ladies Summit that was convened last July in Tanzania. At that summit, Mrs. Bush launched the Bush Institute's First Ladies Initiative. This initiative convenes first ladies to share best practices, supports first ladies' offices through training and building capacity for their work, and fosters public-private partnerships that will ensure sustainable solutions. Since launching the initiative, the Bush Institute has worked with first ladies to support their work, document their progress through case studies, and bring partners and first ladies together to develop holistic approaches to development issues. The initiative also helps build a network of first ladies. There is an African proverb that says, "If you want to go fast, go alone, but if you want to go far, go together." The first ladies in this network are working together - they are combatting health issues, promoting education for girls and women, and encouraging economic participation of women. First ladies are using their voices and power to change the lives of their citizens. Dr. Christine Kaseba, the First Lady of Zambia, and Mama Salma Kikwete, the First Lady of Tanzania, are leading a campaign against cervical and breast cancers, the leading causes of cancer deaths among women in sub-Saharan Africa. Pink Ribbon Red Ribbon, a public-private partnership to combat cervical and breast cancers, is working in Zambia, Botswana and Tanzania - and the first ladies are effectively raising awareness and diminishing stigma so that women's lives are saved. Yesterday, Ethiopia and Namibia were announced as the newest countries to join Pink Ribbon Red Ribbon. And the first ladies of those nations are taking up the mantle to ensure their girls are vaccinated and their women are screened and treated. Women in leadership roles matter. They serve as role models and catalysts of change. Their prominence educates men about the critical role women can play in communities and nations. Research shows that women reinvest 90 percent of their earnings in their communities, compared to men who reinvest only 40 percent. Women ensure their children are educated, healthy, and their families are more prosperous. When we ensure women survive child birth, the life expectancy of their children increases tenfold. Yesterday's summit underscored the ripple effect that occurs when women are empowered. 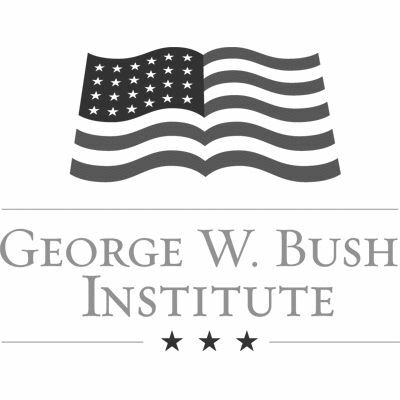 The Bush Institute strongly believes that summits should go beyond the headlines. They must result in action and lead to real impact on women, their families and their countries. At last year's African First Ladies Summit, four partnership announcements were made that are enhancing programs for women and girls in education, agriculture, entrepreneurship and health. Combined, these organizations and their programs, which are operating in 13 African countries, have given over $18 million and reached more than 4.3 million women and children worldwide. Yesterday, at the Investing in Our Future forum, new partnerships were announced that are giving over $200 million and will impact more than nine million African citizens. They will expand education opportunities for girls, train female farmers, and bring young people, particularly women, online so they have access to better education, job training and more. The Bush Institute is thrilled to be partnering with first ladies to leverage their unique platforms. We are working to ensure significant progress is made for women and girls which will in turn transform societies. Together, we will go far. Charity Wallace is vice president of Global Women's Initiatives at the George W. Bush Institute in Dallas.